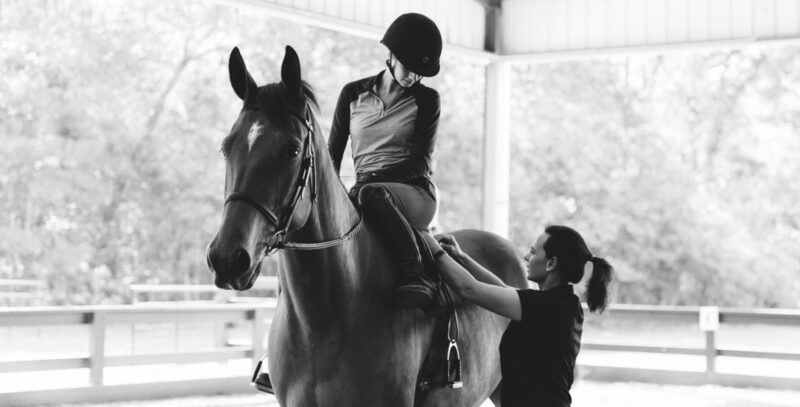 Whether your dream is to ride in the Olympics, or simply learn to ride a horse with confidence, Mill Creek Equestrian Center has custom tailored lessons to help you make your aspirations a possibility. All lessons are tailored to each rider’s ability and goals. No matter what your experience level or what you hope to accomplish, you have a place at Mill Creek Equestrian Center. Our riding program offers both children and adults the ability to take lessons on our facility lesson horses so that new riders can begin without the initial investment of a horse. You may also board your horse and utilize your own horse for lessons. We match available horses to riders carefully and our trainer oversees and schedules all lessons. Mill Creek Equestrian Center’s lesson program takes students from beginner through intermediate levels and into our A Circuit program. Mill Creek Equestrian Center gives students the opportunity to compete at any level and is a lot of fun for the entire family.